Online gambling has represented a touchy-thorny issue for South African lawmakers for quite a while now. Nobody was keen to touch it, and nobody was looking to have some definitive legislation passed on it. What resulted, was a sort of legal vacuum, where – at least nominally – all forms of online gambling were held illegal, but where the law wasn’t enforced and where under-the-counter practices on the part of various online gambling and online poker operators flourished. At the beginning of this year though, at long last, a concrete step was taken in the right direction, through the drafting of a well-informed and well-constructed bill which was expected to become a law and to be enacted in about 9 months’ time in the best case. Apparently though, even the most optimistic expectations regarding the said online gaming bill were proven wrong. A major hurdle linked to legalization and regulation was defeated the other day when Finance Minister Trevor Manuel proposed an Interactive Gaming Tax Bill, which would set the gross tax rate on revenues generated by online casino operations to 6%. The government is hoping to land some R400 million in additional revenues from the local online gambling markets alone through this measure. With a strong regulatory framework already in place, granting only 10 licenses to operate online casinos within the country, legalization and regulation look like done deals at this point and they’re expected to go into effect within about 2 months. Through the above said regulatory laws, the South African government is obviously hoping to rein in the activity and to institute a much tighter control over it. 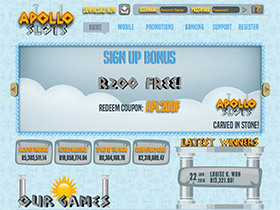 While the developments are obviously great for South African players and online gaming operators alike, some argue that the 6% tax levied on revenues will probably render domestic providers of online gaming services unable to compete with outsiders who are apparently still freely peddling their deals to South Africans, and who – by paying close to 0% tax – can allocate more funds to marketing and advertising. With a number of legal hoops to jump through upon registration, South African gamblers may also find themselves turned off by the additional hassle, and they may give up on the idea in favor of joining one of the un-regulated foreign operators. The R20k limit on online casino funds also leaves a massive elephant-in-the-room sort of question for players who feel they can win much more than that amount at the tables.